It is oddly troubling to discover that not only is teen suicide a problem in our community but that it strikes so many others as well. My heart goes out to each community, each school, each family which has to survive this. But recently, Dr. Adam Strassberg, a psychiatrist in Palo Alto offered excellent tips which parents can implement RIGHT NOW to help their kids be more risk averse. I don’t necessarily agree with each of his points but I have found myself mulling them over this week so they are definitely thought-provoking. There is no single cause of suicide but many factors including biological, environmental, social, psychological, situational. Experts differentiate between “attempted” suicides and “completed” suicides. It is a grim but important detail that one of the main contributing factors to completed suicides (in every age group) is the availability of guns. It is easy to understand that a teen’s fleeting downturn becomes more deadly with a gun than by taking too many pills or cutting her wrist. 1. Make your teen sleep (yes, I know, “Impossible!” One of the first comments to his blog had to do with this challenge) – Depression and troubled thinking frequently go along with decline in sleep. Prisoners of war are often tortured with sleep deprivation to break down their resolve and ability to reason. We can explain to our kids and we can model good sleep practices. At least once a week (and hopefully more), every teen should be allowed to sleep until he wakes up on his own. 2. Talk with your teen about suicide – It is a confounding topic for adults; imagine how difficult it is to make sense of for a kid. You may want to include in your conversation something about the impact on others of someone’s untimely death…how would his sister feel? How about the last person who spoke with him? Develop a way to signal each other in your family when you are having a hard time, psychologically. It may be as simple as, “I’m having a hard time right now.” This equals a “stop everything and pay attention to me, help me now!” message. 3. Model mental health treatment for your teen – I hate the notion that “I cannot teach what I cannot do.” But the truth is, our kids watch us. So, if we want them to eat right, sleep right, manage stress well, enjoy good relationships…we must be able to do those things and demonstrate how it’s done…including seeking professional help when we need it and even speaking about that so our kids know that’s what people do when they’re having a hard time. 5. It’s you and the teachers versus your teen, not you and your teen versus the teachers – In our efforts to be supportive, to seek the best for our kids, to assure them that every step, every interaction is superlative, we adults have begun to shred the teaching profession. A teacher friend of mine says it’s gone from being helicopter parents to being lawn mower parents! What a different picture than just a generation or so ago when educators were the esteemed among us. While we may be the experts on our kid, let’s approach the teacher as the expert on teaching. Our experience with, let’s say, sixteen year olds is pretty limited. How much more perspective would we have if we interacted with 150-200 a year! 6. Get a pet – Our cuddly animal companions make excellent therapists: accepting, good at listening, responsive, available, attentive, willing to hear it all! I remember my daughter screeching at me, stomping off to her bedroom but whisking up the cat to take along on her sulk! What a great friend he was to her during turbulent times with friends and parents. 7. Keep calm – While a teen suicide strikes our deepest fear, we forget that we hold many of the remedies within our grasp. Our job as parents is to help our kids make sense of life. Author Scott Peck calls it helping them “create a road map of reality.” Part of the road map includes valleys, shadows of death, sadness, and despair. When teens first encounter such darkness, it can feel overwhelming. I recall a friend being shot down in Viet Nam when I was seventeen. I felt stunned and swept away by the loss. My mother’s steady, tender understanding echoes through the years even now, “Life goes on.” How solid her certainty felt to me when I had no way to know that. 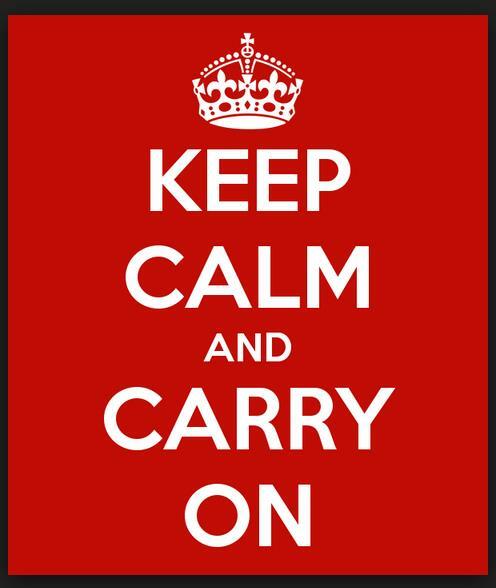 We must “Keep Calm.” But that does not mean we must do nothing.